The X-Files meets The X-Men in this digital original companion series that's set in the world of Pittacus Lore's #1 New York Times bestselling I Am Number Four series and coincides with Generation One. Sam is imprisoned aboard a ship that's miles off the coast of Mexico. His Legacies have been taken away from him. He doesn't have any back-up. And if he can't find a way to free himself soon, he's going to become a lab experiment. Six and Sam may no longer have their powers, but does it mean they're truly powerless? 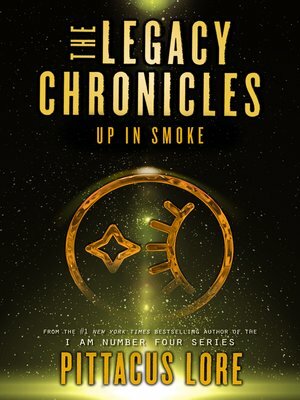 The Legacy Chronicles novellas are published as individual digital originals, and the first three stories will also be available together in one print volume: The Legacy Chronicles: Trial by Fire.